Economist John Kenneth Galbraith once quipped, “There are two kinds of forecasters: those who don’t know, and those who don’t know they don’t know.” Keeping this in mind, it is with a sufficient dose of humility that we offer a few thoughts on factors that may impact the Louisville residential housing market next year. Because of an ongoing lack of inventory it will likely continue to be a seller’s market in 2016. Absorption rate measures the rate at which available homes are sold in a specific real estate market during a given time period (calculated by dividing the total # of homes by the number of sales per month). A balanced market – one that favors neither buyers nor sellers – has an absorption rate of 6 months. 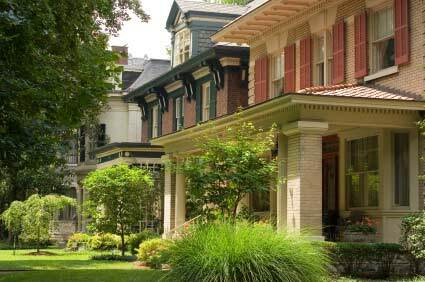 According to a December 22 post from Louisville Homes Blog, November Louisville’s absorption rate was an eye-opening 3.68 months. Additionally, there has been nearly a 20% decline in the number of active listings since November 2014. Basic economics tells us that with lower supply one can expect higher prices. But even with a lack of inventory there may be a ceiling on home appreciation for the next few years. The S&P/Case-Shiller Housing Index estimates that nationally home prices will rise 3% in 2016 and 2017. This contrasts with an annualized growth rate of 9.5% since the end of 2011, when the Index declared the housing market had hit bottom after the recession. The recent decision by the Federal Reserve to raise the federal funds rate likely signals the beginning of the end for historically rock bottom mortgage rates. This is not to say rates are going to sky rocket. Most prognosticators estimate a half to three-quarter bump in 30-year fixed rates over the course of 2016.
Who will be driving the buying decisions next year? Realtor.com predicts that three groups will largely impact the housing market in 2016. Millennials (aged 25 to 34) represented nearly one third of home buyers in 2015 and they will continue to represent a significant presence in the coming year. GenXers (born from the early 1960s to the early 1980s) are entering their prime earning years and with a recovering economy should be in a position to trade up. Older boomers are approaching or already enjoying retirement. In most cases these buyers are looking to downsize and reduce their monthly cost of living. It is impossible to separate the local housing market from the local economy as a whole. For Louisville, the near term economic picture is mixed. On the positive side, Ford recently committed to investing $1.3 Billion and adding 2,000 jobs at the Kentucky Truck Plant. Our local food and restaurant scenes are the envy of cities throughout the country, as are innovative projects like Gill Holland's Portland Investment Initiative and Seed Capital of Kentucky’s West Louisville FoodPort. On the new business front, trailblazing companies like Computershare, El Toro, The Comfy Cow and Copper & Kings are proving that Louisville is fertile ground for entrepreneurs. Conversely, there is still some trepidation about changes at large area employers Humana (possibly merging with Aetna) and GE Appliances (which recently terminated its agreement to be sold to Electrolux). I just want to acknowledge the relative accuracy of the expectations so eloquently made by Jay Gulick and his team about the housing market in Louisville (and pretty much for a great majority of the country), having conferred with my colleagues and partners with housing investments in that area. And, frankly, such expectations are of no surprise because of the known gravitational preferences of each major player--the Millennials, GenXers, and Older Boomers.